It was 108 years ago today, that Harry Houdini was in Washington D.C.. He visited D.C. many times during his career and enjoyed many successful performances. He was in town performing at Chase's Theatre. 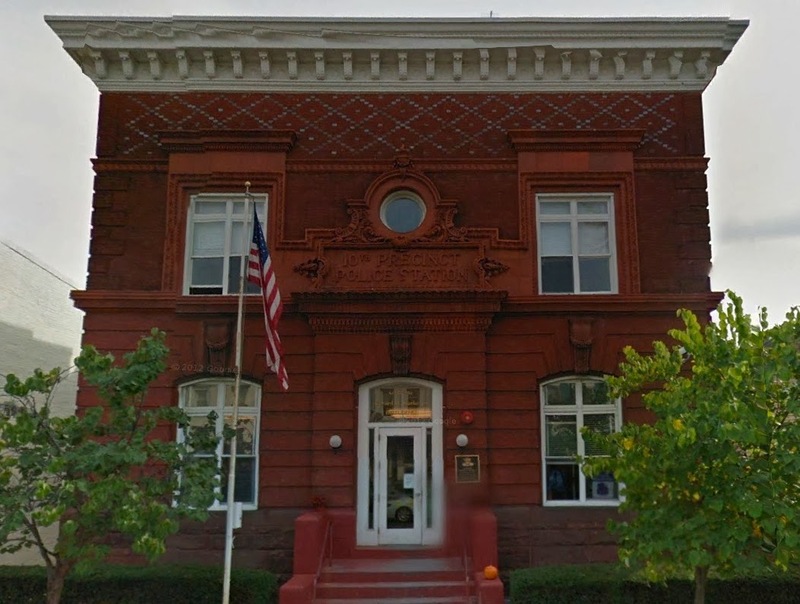 On Jan 1, 1906, he went down to the 10th Precinct Police Station to attempt a jail cell escape. We actually have Houdini's own words to describe this event. "I took a long chance there. They didn't give me a square deal. I went to them and as I always do in the cities I visit, offered them the chance to lock me in and keep me there if they could. But I made the condition I always insist on that I should see the cell in which they intended placing me and examine the locks to be used. The lieutenant of police at the precinct to which they too me agreed to this, but after the test started, I heard him whisper to one of his men to bring him the locks for another cell. Naturally I objected to any change and he became most offensive in his manner. He told me his orders were to lock me up and keep me there, and intimated that if I was afraid I could pass the thing up and take the consequences. I remonstrated with him and told him to remember that I was not a criminal. That I had come to him of my own accord and deserved the courtesy due an equal. But he could not see it, and continued his brutal threatening attitude. Then I lost my head and went ahead recklessly. I know now that I was foolish to do so, for my reputation is well established in every large city in the world, and I did not need the Washington test. Of course, I was endangering my reputation in submitting to a chance of locks, for if they had got me by any means whatever, my standing would have been badly damaged. I got out in eighteen minutes, to the great surprise of the lieutenant. He had evidently been prepared to be anything that I couldn't do it. Why he would have staked his head on keeping me in. Not that that article is of any value." 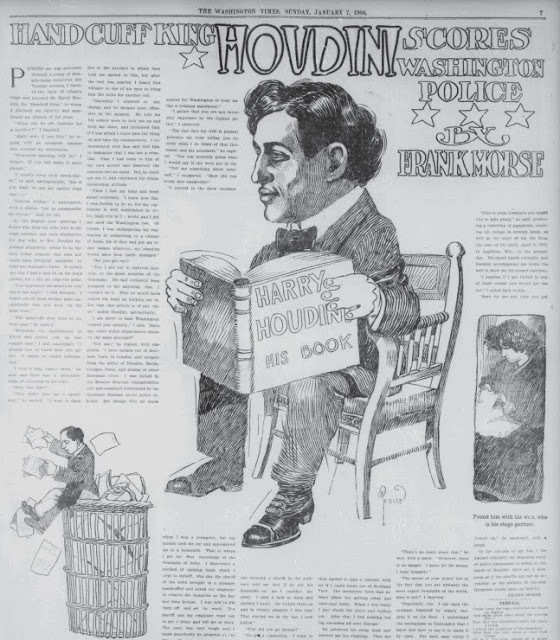 Houdini went on to add, "Since my return to the United States I have broken out of stationhouses in New York, Brooklyn, Rochester, Buffalo, Detroit, and Baltimore, but it has remained for Washington to treat me like a common malefactor. The fact that my wife is present prevents me from telling you (a reporter) exactly what I do think of that lieutenant and his assistants. You can probably guess what I would say if she were not in the room." This interview with Houdini appeared in The Washington Times Newspaper, on Sunday January 7th, 1906. 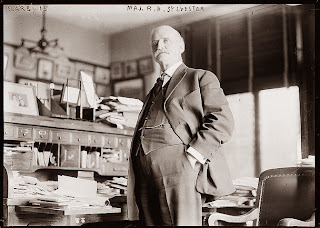 It is interesting to note that this particular escape often gets forgotten because on January 6th, 1906, Houdini escaped from the Jail Cell of the assassin on President Garfield at the Old D.C. Jail. Police in Washington D.C. Major Richard Sylvester had his office there so he was probably the one pulling the strings at this event. The lieutenant of the police precinct was Lieut. H. B. Elliot. The Lieutenant would later claim to have found a 'needle' in the jail cell that was not there prior to Houdini's escape, hinting that perhaps this had something to do with his escape. A couple sources mention that Houdini was locked into an 'invisible bracelet' used by the Secret Service, but I do not know what type of restraint this was. In the book, Houdini, Tarzan and The Perfect Man by John Kasson, he mentions the invisible bracelet and also gives more detail of the Jail Cell. Houdini was locked in cell number 3. "Then the police shut the heavy barred door with a bar lock that is first set to lock three times. A lever throws another lock, and a Yale padlock completes the quintet of locks. A wire network around the padlock prevents a hand from being thrust from inside the cell. "Yet despite all of these conditions and being treated like a common criminal, Houdini succeeded in escaping in 18 minutes, his 62nd Jail escape. I originally wrote about this event on this blog in an article I did on Houdini's D.C. Challenges. At the time I thought that the 10th Precinct had been torn down. But I recently discovered that it is still very much in existence so I posted a photo. Perhaps one day, I'll see if they will allow me to take a photo of Jail Cell #3. Coincidently, I'm reading the Kasson book right now.